Sometimes, being diagnosed after struggling with debilitating symptoms can be a relief. Now, the condition has a name, and there’s a plan to treat it! This is certainly true with COPD (chronic obstructive pulmonary disease). If your senior loved one has been struggling through symptoms such as chronic coughing, wheezing, and fatigue, receiving a diagnosis of COPD could be the first step needed to improve her quality of life. Pulmonary therapy works to strengthen the lungs through guided exercise and nutrition. Oxygen therapy, available through liquid or gas oxygen tanks or oxygen concentrators that utilize the oxygen already in the environment. Lung surgery may be an option if symptoms are extremely severe. 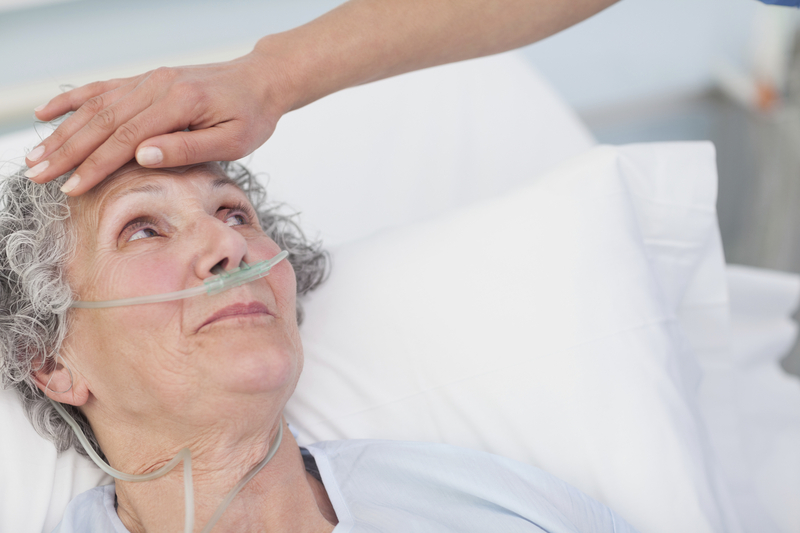 Palliative care focuses treatment on improving quality of life, and is available to anyone diagnosed with COPD, regardless of the prognosis or stage of the disease. Clinical trials help researchers determine the success of new, experimental treatments, regulated by the Food and Drug Administration (FDA). Talk with your senior loved one’s physician to see if clinical trials are an option, and check the American Lung Association’s clinical trial search page for opportunities near you. Regardless of the doctor’s plan of action to help your senior loved one improve life with COPD, Hired Hands Homecare, the highest rated Tri-Valley home care agency, can help with supplemental in-home care. The senior may benefit from respectful assistance with personal care tasks like bathing and dressing, help with housecleaning, meals, transportation and running errands, or simply the companionship of a kind, caring friend to talk to and engage in enjoyable activities together, and our fully trained and experienced caregivers are here for you. Contact us at 866-940-4343 to learn more.